The perfect combination comes together in these deliciously easy White Chocolate & Raspberry Muffins (you wont be able to resist the chunks of chocolate!). 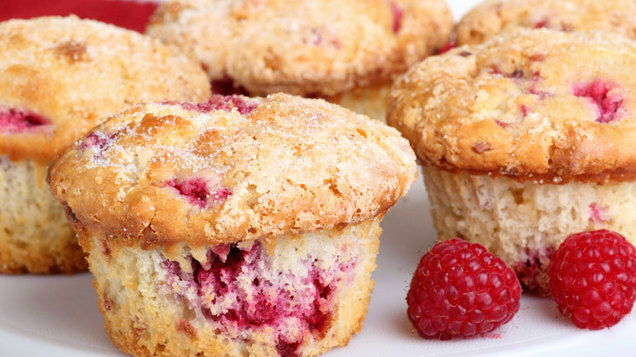 These Raspberry and White Chocolate Muffins are so delicious and easy to make to! Step One : Preheat the oven to 180c. Step Two: Measure and melt the butter in the microwave.